After some hiccups with the launch of the game, Battle for the Grid appears to be moving along smoothly once again. 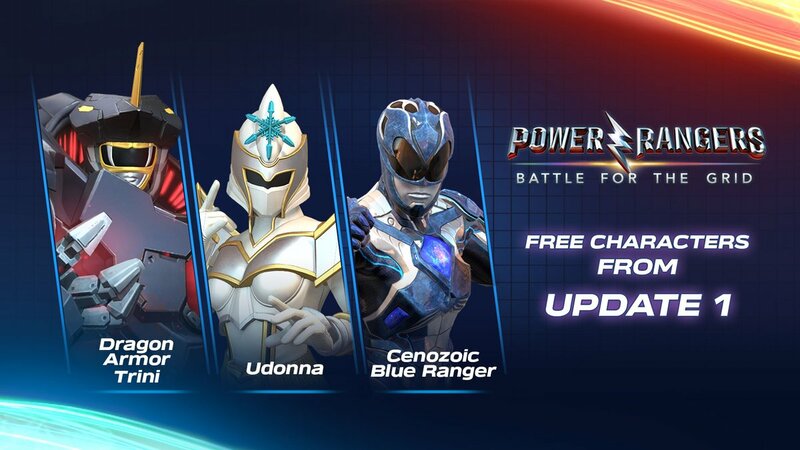 nWay has just announced via the official @Battle4TheGrid twitter account that a new set of 3 rangers will be added to the game in the near future as FREE DLC! The DLC includes Dragon Armor Trini from the Boom! Studios comics, Udonna the White Mystic Ranger of Power Rangers Mystic Force, and the original Cenozoic Blue Ranger of the 2017 Power Rangers movie! While there’s no specific date given for the release of this DLC, the Battle for » Continue Reading.